We know that getting your child to the dentist can be a struggle. Outside of the comfort of their home with a stranger poking around their mouth with sharp objects, you can’t blame a kid for being anxious. But at Mid Wilshire Dentistry we take pride in our ability to provide a kid-friendly dental experience that is as comfortable and stress-free as possible. friendly dentist office, is one way to prevent them. While it helps to have pediatric dentists who are aware of and professional toward the needs of children, it’s equally important that these children’s parents understand the importance of their child’s oral health. The more in tune these parents are, they more likely they are to ensure their kids visit the dentist and the more likely they are to care for their children’s teeth and avoid issues such as tooth decay. Much of the battle of dealing with young children is knowing how to effectively approach them as patients. At Mid Wilshire Dentistry we make a conscious effort to make our office more kid friendly for children and their parents. The last thing we want is to scare off or intimidate our young patients. When children feel like they are ignored or left out, they often get upset or anxious. 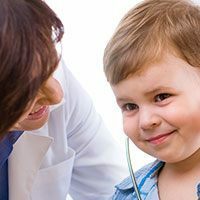 Our dentists excel in communicating and relating to children by presenting what’s going to happen in their appointment in clear, basic terms that they can understand. Many children are anxious when they go to the dentist. But if you’re taking your kid to Mid Wilshire Dentistry, then you can sleep easy that we’re doing our best to keep them as comfortable as possible.